We don't like to make assumptions about people's mindsets here at The Drive, but it seems safe to assume Ford is awfully proud of the new diesel-engined F-150, set to land in showrooms later this year. Why do we say that? Well, Ford's official press release quite literally ends with the phrase, "You're Welcome, Truck Fans." Kiiiind of a tip-off. To be fair, we'd say Ford has a right to take pride in this new oil-burning F-Series, based on the spec sheet. 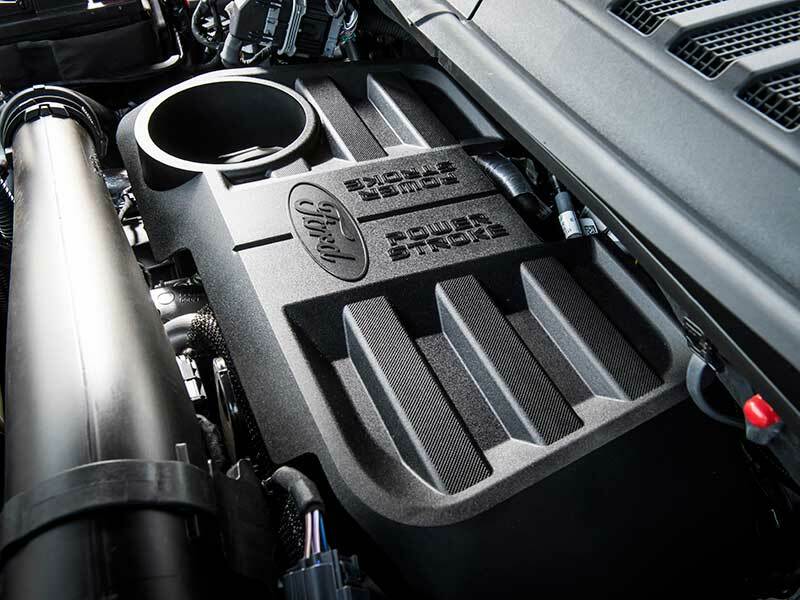 The new 3.0-liter Power Stroke turbodiesel V-6 churns out 250 horsepower and 440 pound-feet of torque—the latter nearly equalling the (non-Raptorized) F-150's range-topping 3.5-liter twin-turbo V-6. More importantly for towing, hauling, and other pickup-related duties, the diesel makes peak torque starting at 1,750 rpm. 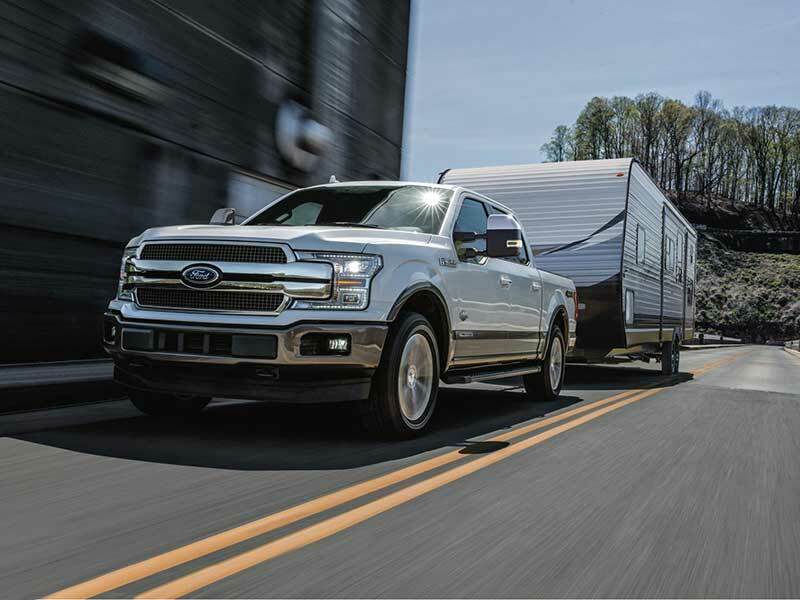 Connected to the standard 10-speed automatic transmission, the new Power Stroke enables the diesel F-150 to tow up to 11,400 pounds. 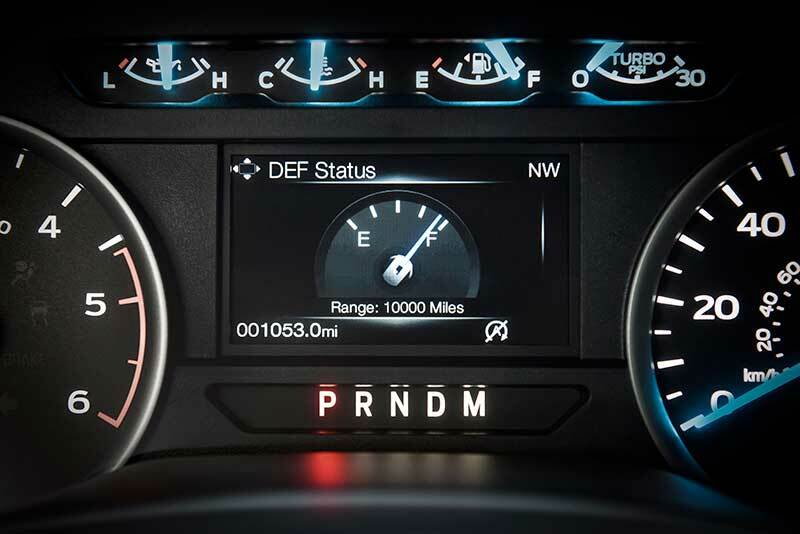 That may not break any records for the F-150—Ford's full-size truck can already tow up to 13,200 pounds with its existing engines—but the diesel scores plenty of additional points for delivering very un-truck-like fuel economy. 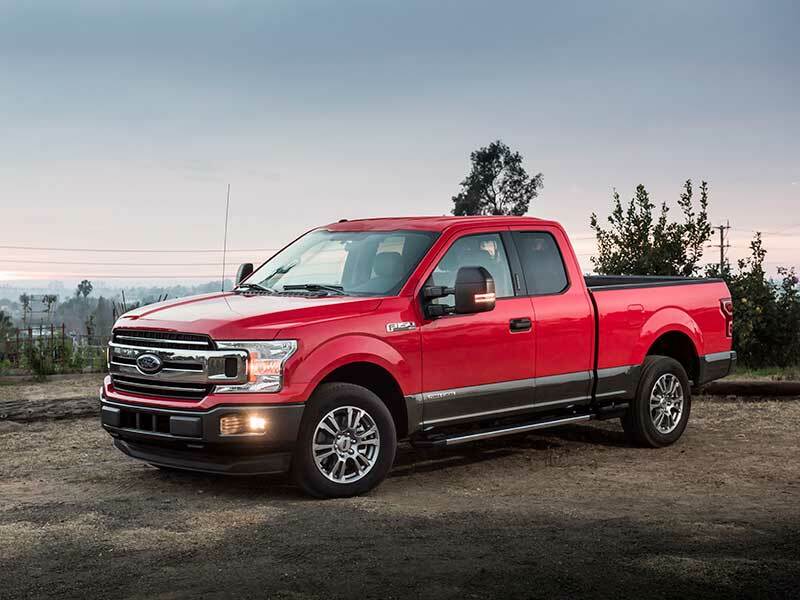 Unladen, the F-150 Power Stroke can knock out an estimated 30 miles per gallon on the highway. To build the 3.0-liter diesel engine, Ford turned to the same team who handled development of the mightier 6.7-liter V-8 oil-burner that enables the Super Duty models to tow an F-18E Super Hornet. A viscous-controlled mechanical engine-driven cooling fan was tapped over an electrically-powered version, to keep the air flowing fast and strong over the engine even under heavy load in hot weather or at altitude. When full power and cooling isn't needed, twin radiator shutters clamp shut to reduce drag and help achieve that stellar fuel economy number on the open road. If all this sounds right up your alley, though, you'd best be prepared to pay. While the Power Stroke will be available in both SuperCab and SuperCrew body styles and in two-wheel-drive or four-wheel-drive pickups, consumers will only be able to choose it in the higher-level Lariat, King Ranch and Platinum trims—which means you'll have to spend more than $40,000 to clamber behind the wheel of a diesel F-150. But if you want a stripper model, try bribing someone who runs a stable of work trucks; fleet companies can order the diesel in any trim.